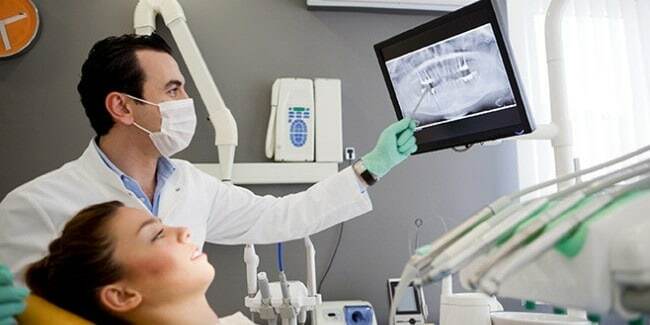 At AV Sierra Dental Center, we invest in state-of-the-art technologies as part of our commitment to providing you with ongoing superior service. Cutting-edge equipment enhances Palmdale dentists Drs. Oh and Couto’s ability to detect oral health issues early on, to provide personalized treatments, and to execute our treatment plans with unmatched accuracy and excellence. Intraoral Cameras: This is a highly advanced piece of diagnostic equipment that allows you and the doctor to clearly see inside your mouth. The handheld camera can zoom in on a specific tooth, and all of the images are displayed on a television screen so that you can be an active part of your treatment. Ultrasonic Scalers: This small hand-held “wand” uses electromagnetic forces to vibrate rapidly and effectively blast away plaque, calculus and stains from the tooth surfaces with little to no discomfort. At AV Sierra Dental Center, we regularly upgrade our equipment because we know that advanced equipment ensures more accurate assessments, which means a better solution for your dental needs. Call 661.202.3542 today to schedule an appointment with Palmdale, CA dentists Drs. Oh and Couto, and learn how we use our advanced dental equipment to fit your needs.